Named after a song of lead vocalist's former band, Thunderbird Divine combine heavy rock with psychedelic attitude, fuzzy atmosphere with a 70s touch and a constant mood to blend several genres (even more sludgy stuff) in their music while keeping a quite raw approach with mild passages and heavy outbursts. 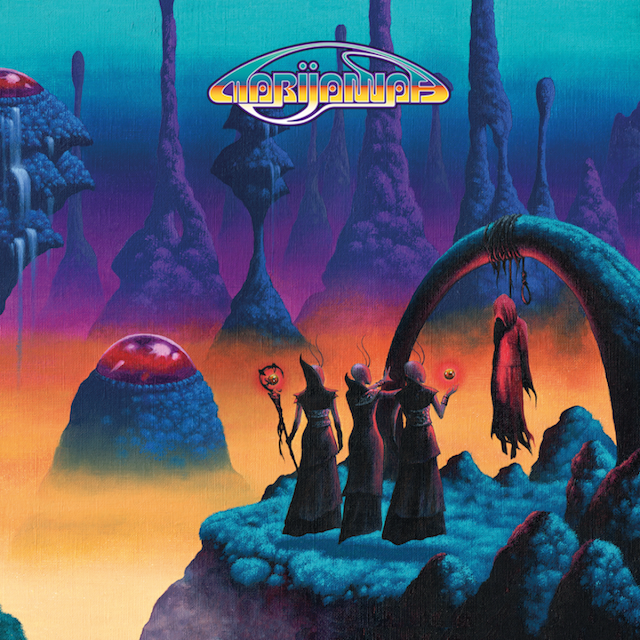 This is a godamn tasty and groovy debut and it will surely be appreciated from those that enjoy a more classic touch to their heavy rock and not the commonplace, hackneyed stoner stuff we're getting the last years in massive quantities. Thunderbird Divine aren't reinventing the wheel but they are showing an experimental spirit (see below the isntruments they've used) which creates expectations for their future; but for now the time being the've delivered a debut that once you listen to it once you'll be wanting to replay it from the start. 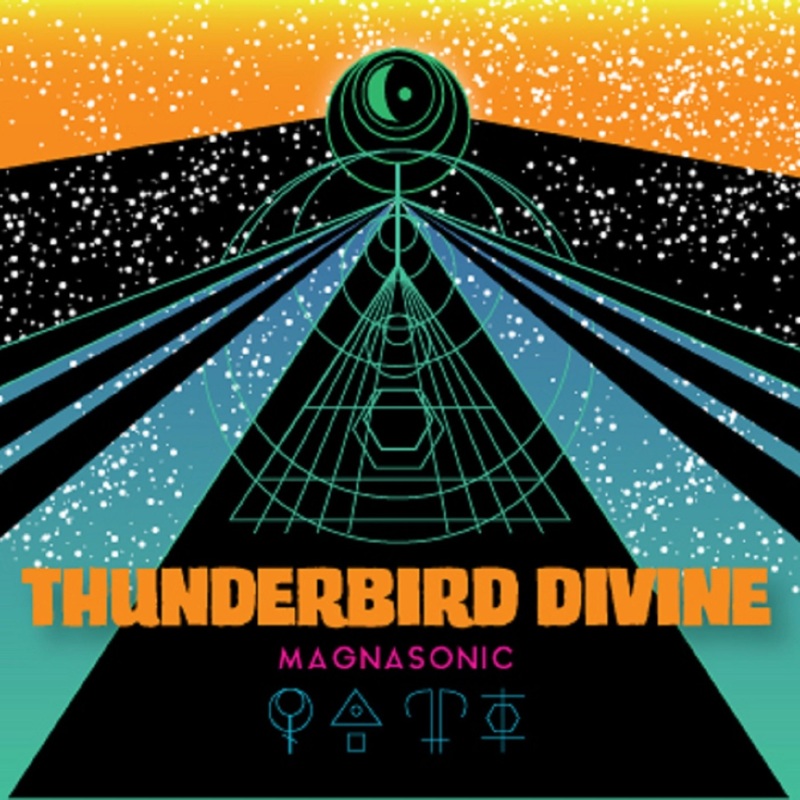 Thunderbird Divine's "Magnasonic" is its first official recording. The band's four members, Erik Caplan (ex-Wizard Eye), Mike Stuart, Flynn Lawrence and Adam Scott, joined forces in March 2017, and this collection is the fruit of their union. 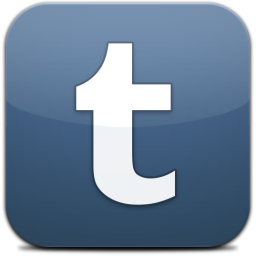 Drawing influences from both standard and diverse sources, Thunderbird Divine wrangled instrumentation uncommonly used in rock's usual vernacular, such as marxolin, mandolin, synthesizers and other oddities to create unexpected tones mixed with classic arrangements. The result is music with depth and textural complexity not usually experienced with a band's first outing. 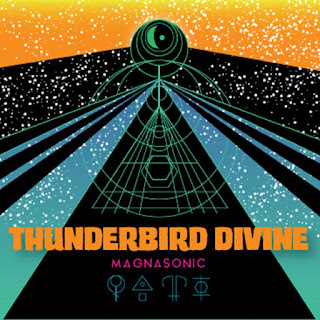 Thunderbird Divine comprises four Philly rock veterans who came together in March of 2017 to collaborate and create riff- heavy psychedelia/stoner/doom in the spirit of artists like Monster Magnet, Hawkwind, Flower Travellin' Band, The MC5, Grand Funk Railroad and many more. Andy Martin: Lead/backing vocals on "Qualified" and "The Devil's Hatband"
Kermit Lÿman III: Lead/backing vocals on "Qualified" and "'Til Shiloh"
Brittany Marie & Avalicious: Backing vocals on "Qualified," "'Til Shiloh" and "The Devil's Hatband"